Taking into consideration the type of convenience that people get to derive via pressure cooking, all kinds of pressure cooker like an induction based pressure cooker to non-stick ones, have become one of the most sought after cookware. However, people often tend to forget a few basic things in relation to the use of this utensil that results in a mayhem. Enlisted below are a few tips on how to use a pressure cooker back at your home. Cooker or no cooker, desserts are desired by all. Leaving apart a few, a major section of the masses try relentlessly to find a way to curb their sweet tooth. However, it has been noticed that pressure cookers have proved to be a great source of relief for dessert lovers. 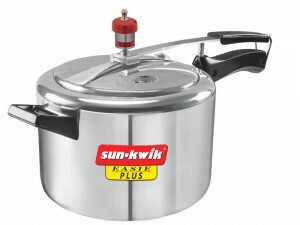 A SunKwik pressure cooker can be your best friend in this case.